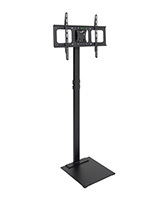 Height Adjusts from 46" to 69"
These cheap portable tv stands for 32" 47" screen widths are one of our most popular designs because of their simplicity and versatility. 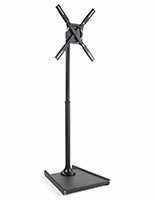 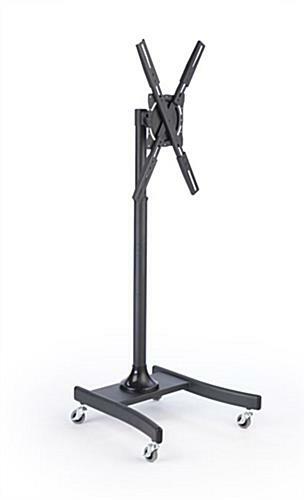 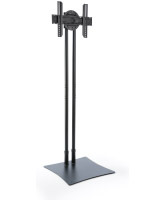 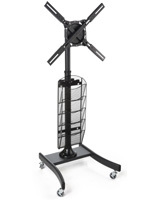 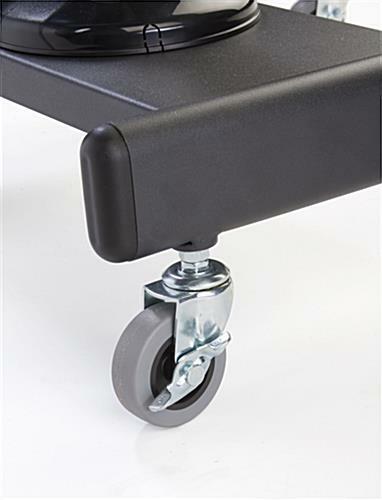 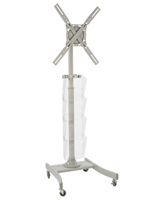 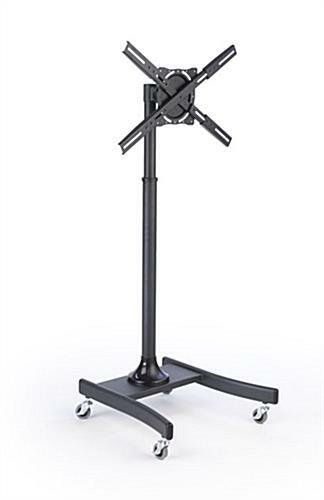 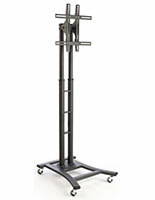 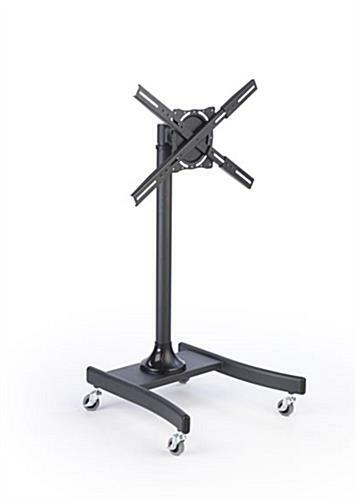 The black steel construction has a simple design with wheeled base, pole support and rotating bracket. 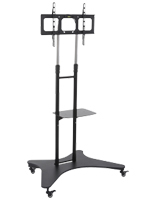 The economical portable tv stands will complement any environment from residential or home use to trade shows to retail and commercial displays. 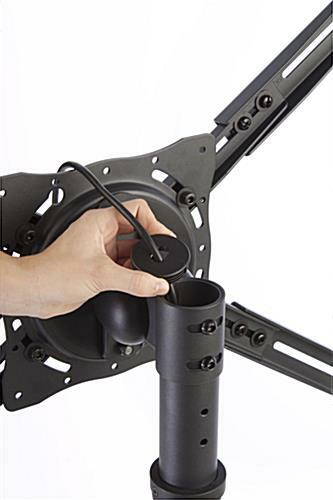 Flat panel furniture is generally the most useful when it supports screens without taking attention away from the media being shown. 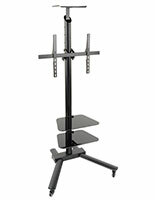 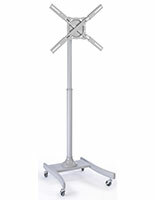 These simple steel portable tv stands are VESA compatible and have locking caster wheels for usability and convenience. 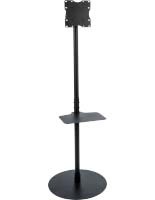 The adjustable height fixtures are ideal for showcasing entertainment, commercial, advertising, wayfinding or interactive displays.